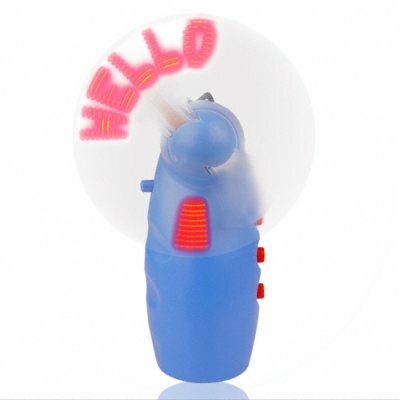 Successfully Added LED Message Fan - Cool Handheld Gadget to your Shopping Cart. New made in China gadget fan with built in LED lights that will display up to 6 programmable messages while at the same time providing a cool breeze. The perfect summer accessory for the gadget lover, choose either letters, numbers, or symbols to make this cool fan personalized just for you. Really impress your friends and family with this low weight gadget direct from the best gadget makers in China..